TYPS booth: 3-4pm. TYPS performance: 4-5pm. 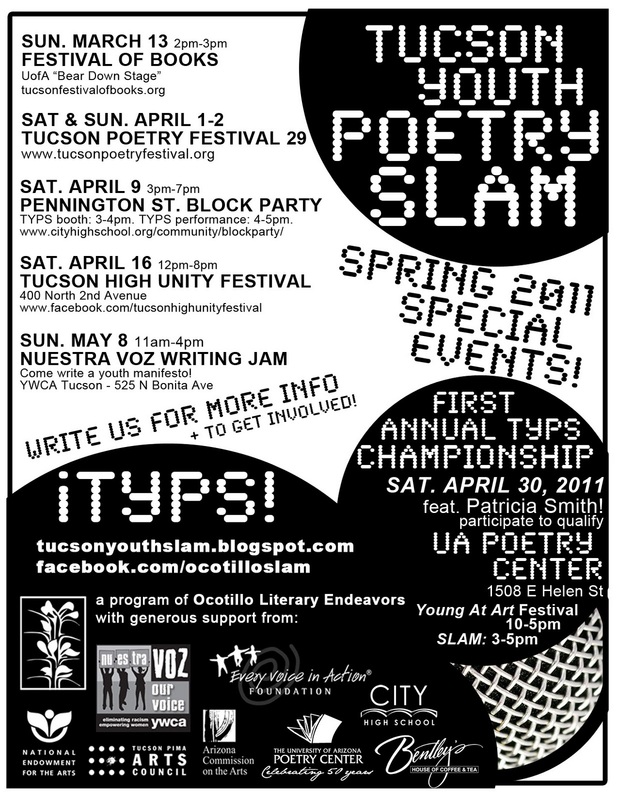 FIRST ANNUAL TUCSON YOUTH POETRY SLAM CHAMPIONSHIP!! To participate in the championship you must have competed at a regular TYPS this year. 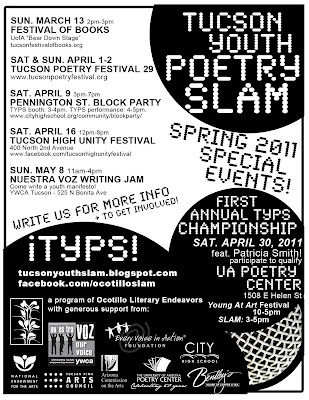 Write us for more info: tucsonyouthslam (at) gmail.com. Young At Art Festival 10am-5pm. CHAMPIONSHIP SLAM: 3pm-5pm. Come write a youth manifesto!